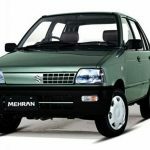 Pak Suzuki has decided to halt further production of CNG-Fitted Suzuki Mehran in Pakistan. Earlier Pak Suzuki had planned to replace the 800cc Suzuki Mehran with Suzuki Alto 600cc in 2018. 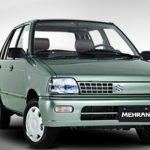 But the company has issued a letter to associated dealerships in which they revealed that it has halted the booking of CNG-Fitted Suzuki Mehran variants in Pakistan from 10th July 2017. “Keeping in view the current low demand for CNG vehicles, the company has decided to discontinue all CNG variants of Suzuki Mehran”. 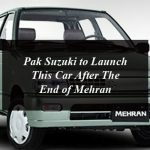 Pak Suzuki has revealed that it intend to serve the already booked orders for Suzuki Mehran and will be served to individuals. Suzuki Mehran was the final locally assembled car that was offered with a factory-fitted CNG kit. Pak Suzuki launched CNG versions of Mehran, Bolan and Ravi in 2001 while the CNG-fitted Baleno, Alto and Cultus were launched in 2002. All other models were phased out over the years as CNG shortages made the segment has come crashing down.